WASHINGTON, DC – The National Endowment for Democracy (NED) was deeply saddened and concerned to learn of the sudden and unexpected death of Chinese lawyer and activist Li Baiguang who passed away on Monday, February 26 at an army hospital in Nanjing, China. Li, a tireless advocate of religious freedom and human rights, was a frequent target of harassment and physical intimidation for his work to uphold the rights of Chinese citizens provided for under Chinese law. He was a recipient of NED’s 2008 Democracy Award. 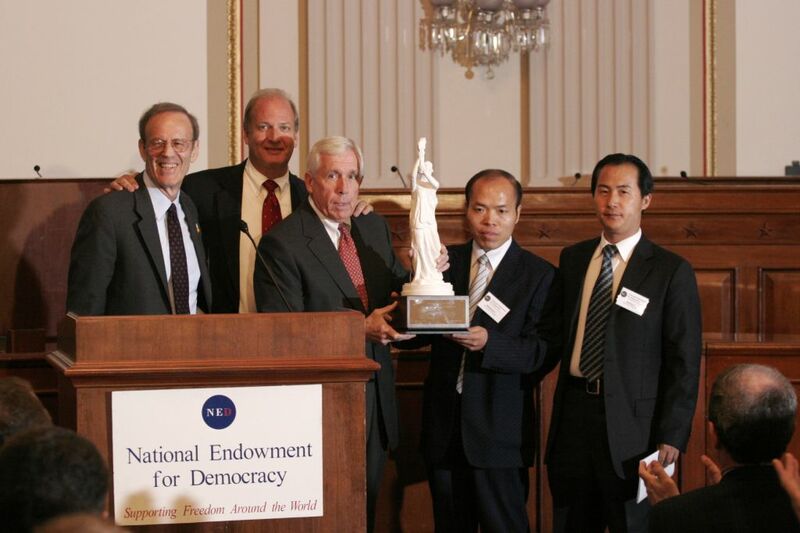 The Board of Directors and the staff of the National Endowment for Democracy extend their sincere condolences and deepest sympathy to Li’s wife Xu Hanmei and to their eight-year-old son, as well as to Li’s colleagues who continue their brave work to defend human rights and the rule of law in China.